For the last decade or so, Wyclef Jean has seemingly devoted the bulk of his energies to political and social causes. However, in 2016 he intends to reenter the musical arena. "My Girl" opens with a celebratory chorus of horns and Jean announcing, Ladies and gentlemen, it's the return of the Carnival Man! He goes on to apologize for his leave—I know, I shouldn't have kept you waiting for so long—but once the song starts in ernest, he slips back into a familiar pop-dancehall groove. I'm the Island's Romeo, he sings, serenading his collaborator, Sasha Mari. It's good old Wyclef. 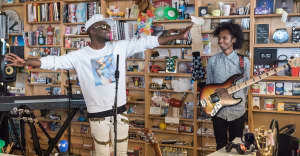 "This song takes me back to my Caribbean roots, this is what a Carnival feels like," said Jean, describing the song to The FADER. And, given the recent boon in Island-indebted pop hits, it is also more or less what the Top 40 sounds like. 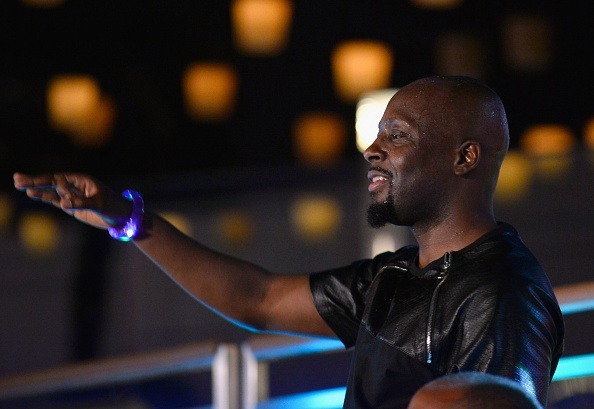 In returning to his roots, Wyclef has found a perfect entryway back into pop. Below, Jean on his thoughts on the rise of tropical house, regrets, and returning to music from his visit last December. How do you feel about the wave of tropical house that crashed the Top 40 in the last year? I love it, because it's like 'Clef is home. The Carnival could come out right now and it would be a brand new record. I was doing that in '97, and it's great that the Caribbean sound is embraced much more throughout everyone's music. Those sonics and chords from the Caribbean, the reason why they work is because they make people feel happy. They make people feel free. The world is so fucked up now, people just want to escape. The islands always did that. It's being more embraced now because pop culture is singing more like that. For me, it's a beautiful thing. I come from the Caribbean, so it's like, "Wow, this is dope." You've spent the past 10 years focused on politics and social justice. Do you worry that because of those efforts—and occasional stumbles—you might now be received differently as a musician? No, because if you put on The Score or The Carnival and listen to it, I don't say anything different from the policies that I applied. Even in "Hips Don't Lie," I say: Colombians and Haitians, this transaction ain't cocaine. I think people would weird out if the Wyclef message and the thing that they know me for was different. Do you have any lingering regrets from those years? No. No regrets at all. You have to pick your battles. Right now, we're focused on music. You already know that the music is going to balance out the social issues. It's 90% music right now and my focus is getting that to a place where I'm happy with it. Everything else is natural, it's all going to fall into place. As long as I keep pure to what I do, it will all balance out. The music speaks for itself. You aren't concerned that the negative attention you have received will taint your return to music? Like my daughter said, "If you don't have haters, you're not poppin' Dad." That's the best way I can say it. There's 24 hours in the day—if you wanna spend an hour and a half talking about Wyclef is doing, at least I got your attention. So listen to some of this music.